Police are investigating an attempted bank robbery at a Wells Fargo in Stafford Township. STAFFORD TOWNSHIP, N.J. (WPVI) -- Police are investigating an attempted bank robbery at a Wells Fargo in Stafford Township. The Stafford Township Police Department responded to a hold up alarm at 3:20 p.m. Friday at the Wells Fargo Bank located on Route 72 East in Manahawkin. An investigation revealed that a male subject wearing a gray hooded sweatshirt and black aviator sunglasses entered the bank and began writing what appeared to be a note at the bank slipping counter. Bank tellers demanded the man remove his sunglasses and hood, at which time he fled the bank with the note and ran west through a Shoprite parking lot. 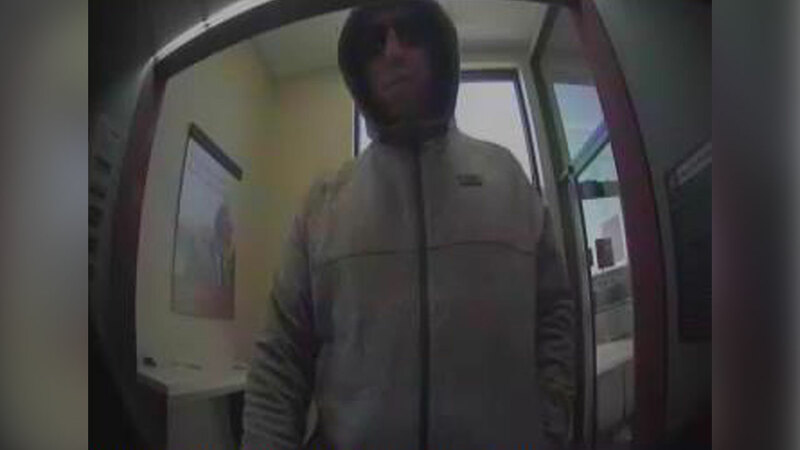 Police believe this is the same subject involved in a Chase Bank robbery that occurred on January 18. Anybody with any information is asked to contact Detective Drew Smith at 609-597-1189 Extension 8435.